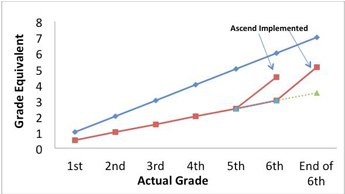 Evidence demonstrating the effectiveness of Ascend Math in many applications of math instruction include implementations of Tier II and Tier III Interventions, Special Ed, Gifted and Talented, Acceleration and Credit Recovery. Here you will find studies and case histories from educators like you who are getting their math students motivated and back on level quickly. Examine the independent studies, success stories, and research found on this website. If you do not find the evidence you’re looking for please let us know. District Implementation: Bibb County Schools began a Flexible Learning Program (FLP) utilizing Ascend Math. The students in the FLP are students who are most at risk of failing math and fall into the lowest 25 percentile. Bibb’s FLP is a blended learning model designed as direct instruction coupled with online learning for math. At the beginning of the school year, 58% of students tested below the 4th grade level in math. By April, only 15% remained. Only 9% of students tested at grade level 5 or above at the start of the year. By April, that number increased to 64%. 44% moved up two or more grade levels. More than 50% of FLP (most at risk) students increased their score on the state test. By comparison, only 45% of the general student population increased their score. On average, these FLP students made greater improvement in their scores than they did the non-FLP students. 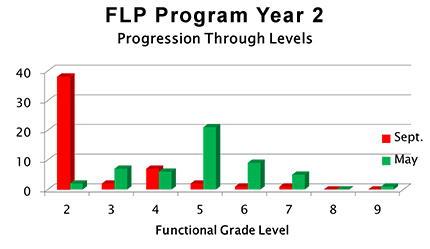 Underperforming FLP students showed a percentage of decline slightly better than non-FLP students. 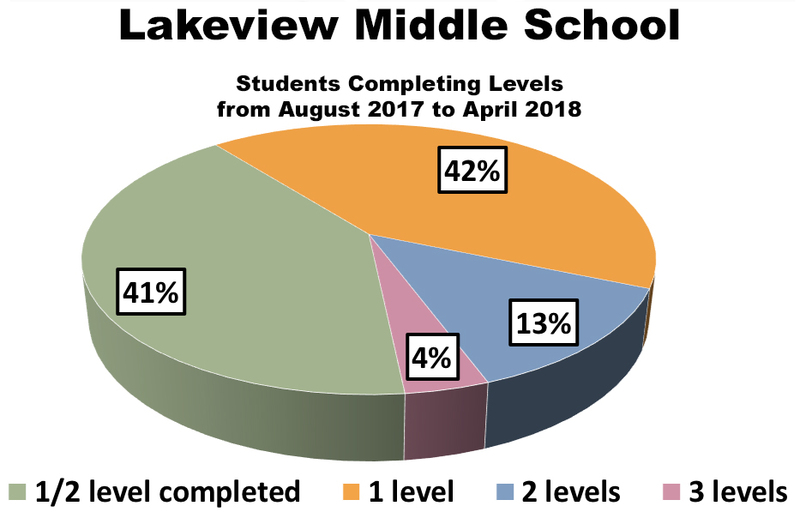 School Objective: Lakeview Middle School implemented Ascend Math school wide for Tier 2 remediation, as well as Tier 3 intervention in Math workshops. 42% achieved one grade level growth. 17% achieved two or more grade levels growth. District Objective: Cecil County Schools implement Ascend Math as an intervention for struggling middle and high school students. 31% of intervention students at Rising Sun Middle School gained at least one grade level. Students at Bohemia Manor High School averaged 26 objectives (skill gaps) mastered and 35% gained one or more grade levels. School Objective: Woodrow Wilson Junior High School adopted Ascend Math to help their students fill math skill gaps and improve STAAR test results. 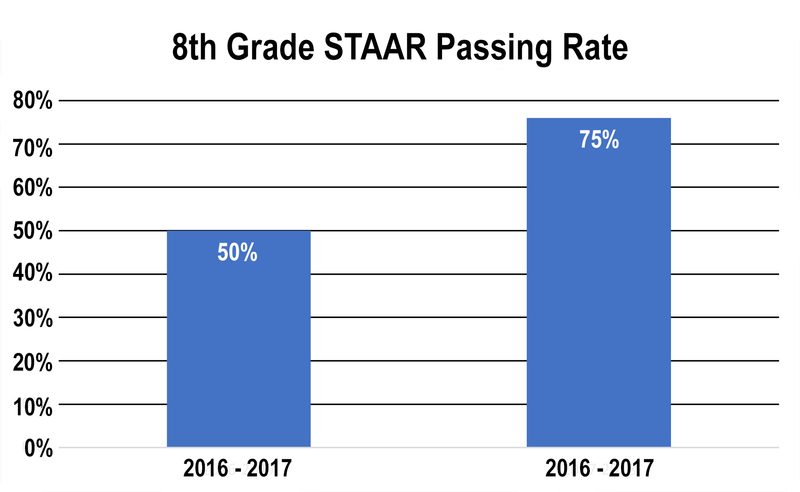 Results: After adopting Ascend Math, Woodrow Wilson Junior High School significantly increased their 8th grade STAAR passing rate to 76%. This was a 50% increase from the previous year. School Objectives: Ascend Math was adopted to help students fill math skill gaps and improve test results. Students entering Fort Stockton Middle School had math skill gaps of up to 6-7 years. The Fort Stockton High School student population is 86% Hispanic, 50% At Risk and 58% economically disadvantaged. 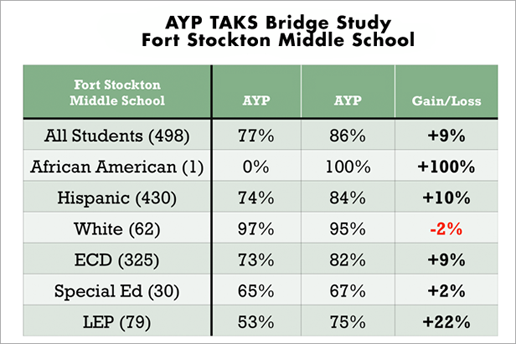 Results: Fort Stockton Middle School significantly increased their eighth-grade pass rate on the state assessment from 74% to 86%. Some students achieved proficiency on the TAKS after spending only 3 weeks on Ascend Math during an intensive intervention initiative. At Fort Stockton High School, 58% of students grew one level or more. 27% achieved 2 or more levels, and 8% achieved 3 or more grade levels in one year. 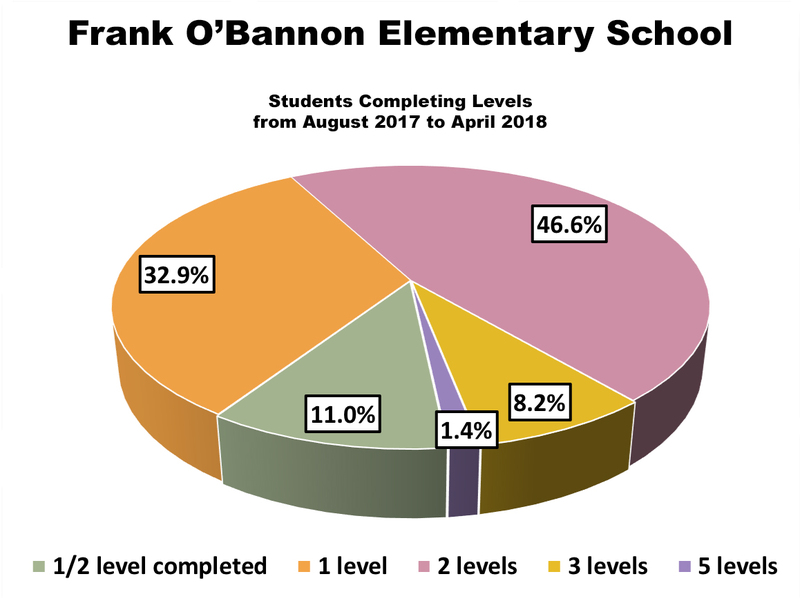 School Objectives: Frank O’Bannon Elementary School adopted Ascend Math to Improvement in state test and NWEA test scores of their High Ability Math students. 32.9% gained one grade level or more. 46.6% gained two or more grade levels. 20.6% of students demonstrated gains of 3 or more grade levels. School Objectives: To implement RTI methods at the adult learning center and correct the math weaknesses of identified at-risk students. 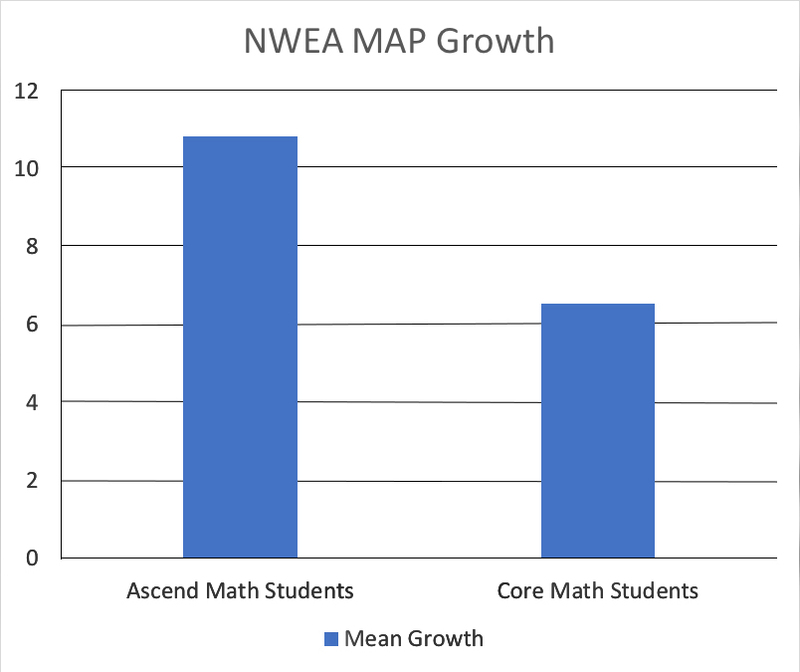 Results: NWEA Map test results revealed that students who received core math instruction, plus Ascend Math intervention, had a mean RTI growth score of 10.8. Objective: Math scores at Fair Park were scattered across the board with a significant number of ninth and tenth grade students scoring in the third and fourth grade ability level. Ascend Math was implemented to enhance student knowledge prior to entering an Algebra or Geometry class, fill gaps in their understanding, and improve performance on high stakes tests. 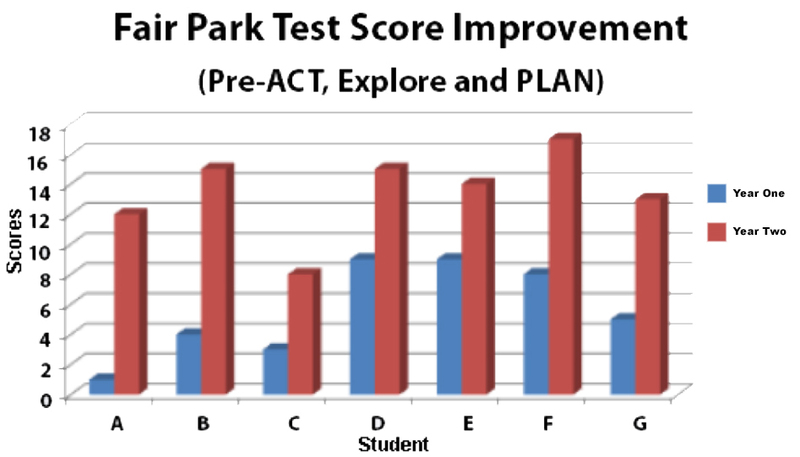 Students improved from the third grade to the seventh-grade level in just 6 weeks. Students most at-risk increased their math score on the PLAN (pre-ACT) Test from a 10.28 average the previous year to a 12.85 average. One student moved from a 4 on the previous year’s test to 15. Objective: The educators at Kenwood High School had the goal to have 100% of their students enrolled in their AMA program finish at or above grade level. • 74% gained one grade level or more. • 38% gained two or more grade levels. 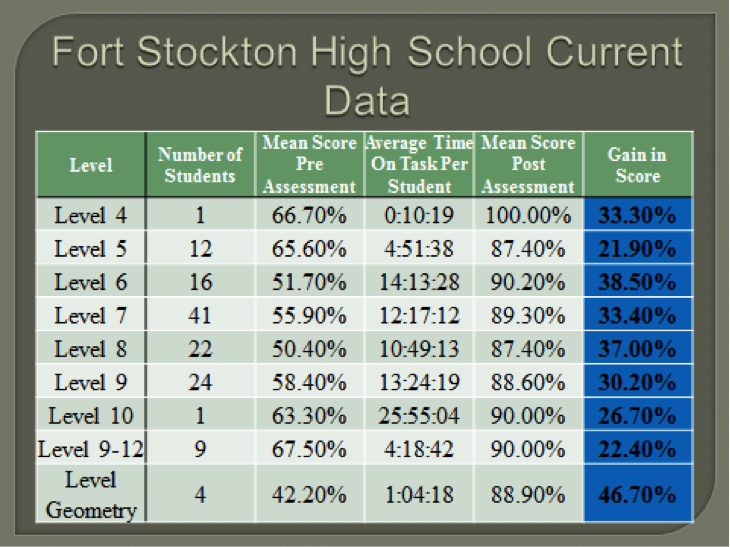 • 11% of students demonstrated gains of 3 or more grade levels. 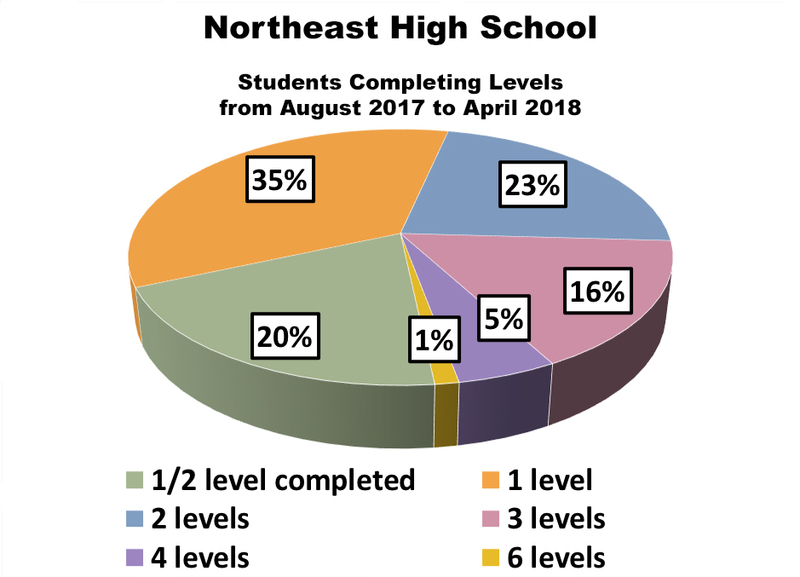 Objective: Northeast High School adopted Ascend Math as a study skills intervention during the school day with the most at-risk students. Results: 80% of students have completed at least one level. One student has grown 6 levels. Objective: Students were struggling with Algebra 1. Ascend Math is used to bring students up to 9th grade level so they could be more successful in Algebra I. Results: For the past six years students have experienced success with Ascend. Several have jumped 4 levels in one semester! Most improve by 1-2 levels in that time. It has made their learning in Algebra I easier, and Ms. Harris uses lessons from Ascend to back up lessons in algebra. 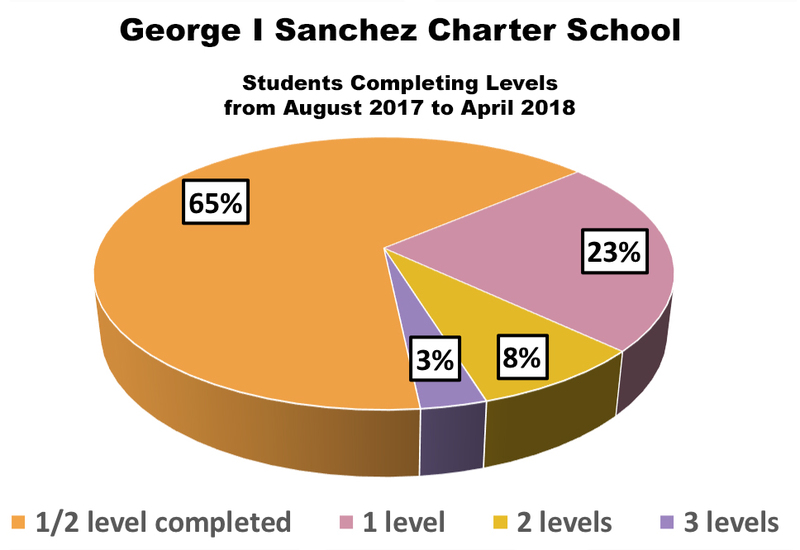 Objective: George I Sanchez Charter School uses Ascend Math to reteach and reinforce math concepts that students have previously struggled with in prior classes. 23% achieved one grade level growth. 8% achieved two grade levels growth. 3% achieved three to five grade levels. Objective: Differentiation for students ready to experience skills above grade level. Results: NWEA MAP testing showed a 35.3% increase in 6th grade scores and a 3.2% increase in scores from 5th graders. 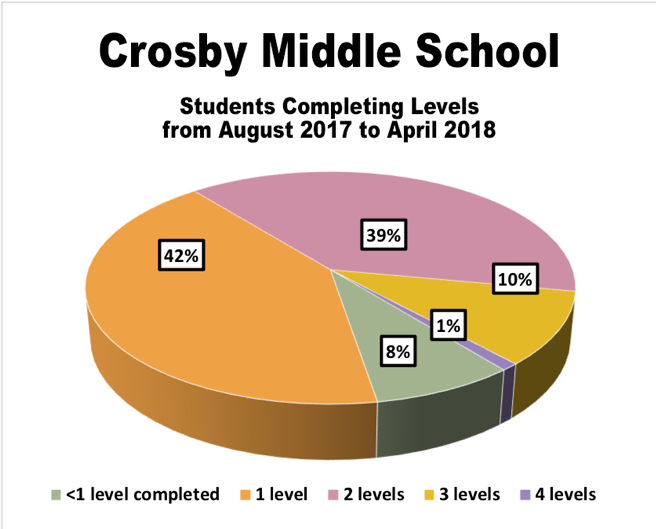 Objective: Crosby Middle School adopted Ascend Math for their Tier 3 math intervention. On the state assessment, CMS students were not at the level they believed they should have been. Changing math TEKS (state standards) caused greater gaps in understanding for students who were already struggling in math. Results: Students who did not meet grade level previously were placed in Tier 3 math class. 92% achieved one or more grade levels in math. Objective: Emmet Belknap adopted Ascend Math for their Tier 2 math intervention. They needed a math intervention product with a strong research base, aligned to NY state standards. Most importantly, they needed to serve more struggling students than was previously possible with their limited staffing. Results: Students who previously averaged .5 grade levels of growth, achieved nearly four times the growth using Ascend Math. Objectives: Prior to using Ascend, 97% of the students tested at least one grade below grade level, with about 70% of those students testing three or more grades below their current academic grade. 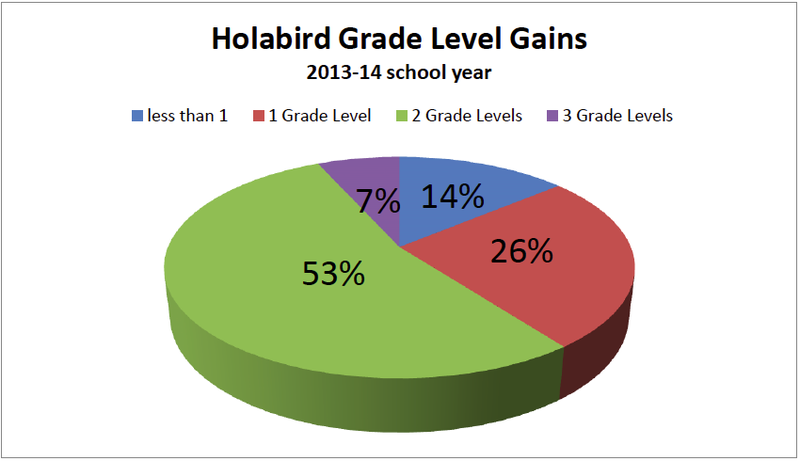 Results: Holabird saw dramatic improvement with students quickly moving up in grade level. The number of students testing at 3rd grade level decreased by 92%. 6th graders testing at 5th grade level increased by 100%. 7th graders testing at 5th grade level increased 280%. 60% of students gained 2-3 grade levels in less than one school year. Objective: Ascend Math is used at Kilgore Middle School to help improve STAAR test results. Results: Students who used Ascend Math recorded 56% growth in STAAR Results; 21.6% of which passed STAAR for the very first time. 73% of their 8th Grade students showed growth in STAAR; 32% of these students had never passed STAAR previously. 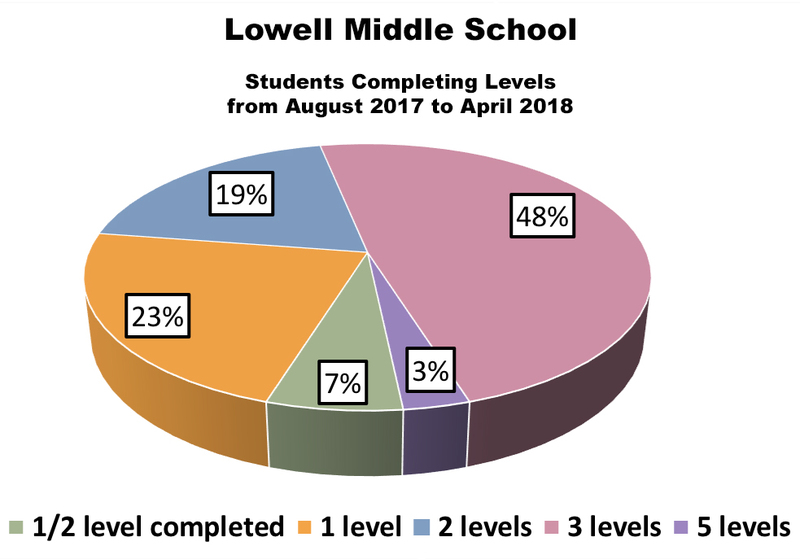 Objective: Lowell Middle school implemented Ascend Math as an RTI program. Results: 65% of the students in Ascend have improved two or more grade levels. 40% of those actually improved three levels or more, one student achieved an improvement of five levels. Objectives: Educators at Pike Delta York Middle School adopted Ascend Math after they heard how it helped a neighboring district improve math scores on their state test. Their goal was ambitious: to bridge the gap of math skills for all students and get them academically at their grade level. 35% achieved one grade level growth. 22% achieved two grade levels growth. 41% achieved three to five grade levels. Objective: All students at Swanton use Ascend as a part of their regular class curriculum and for timely intervention as needed. Results: Students increased overall school math scores 30% over the previous year on state mandated tests. Swanton students have continued to make great progress through the years. 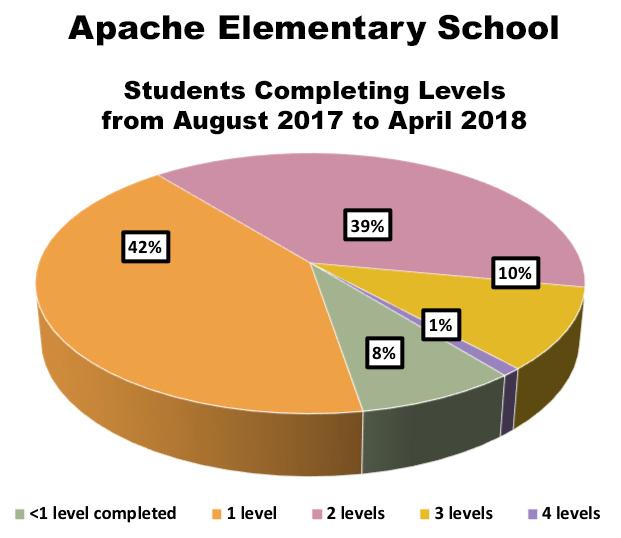 Objective: Apache Elementary adopted Ascend Math to assist students that were having a difficult time in math and not excelling. 39% achieved two grade levels growth. 19% achieved three to four grade levels. Objective: Ascend Math is used at Junkins Elementary to help improve STAAR test results. Results: 47% of students in the Ascend Math class showed Mastery on STAAR vs 26% in the non- Ascend Math class. 94% of students passed STAAR in the Ascend Math class vs. 91% of students in the non-Ascend Math Class. Objective: Ascend is used to move students who were working below grade level up to and beyond grade level. Students enrolling in the private school come from a wide diversity of demographics and abilities, especially in math. Results: 59% of students gained one grade level or more with 17% gaining from two to three grade levels. 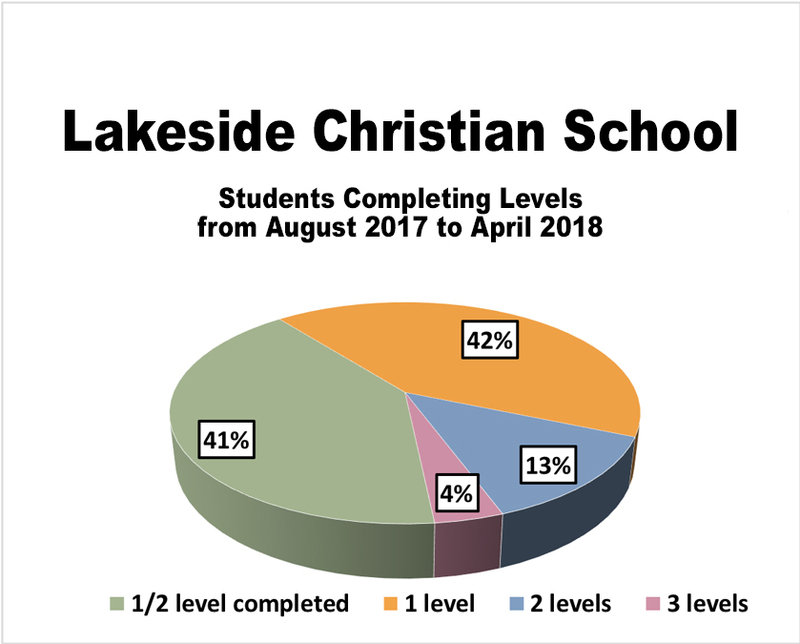 Lakeside Christian Academy is a 6-Time Ascend Math Gold Medal school. Objective: Taylor County Elementary makes use of Ascend math to provide an effective math intervention program for their lowest quartile students including their ESE (special education) students. 93% of 3rd graders increased scale scores. 91% of 4th graders increased their scale scores. 86% of 5th graders increased their scale scores. Ascend Data confirms overall: 53% of students gained one grade level with an additional 38% gaining two grade levels. 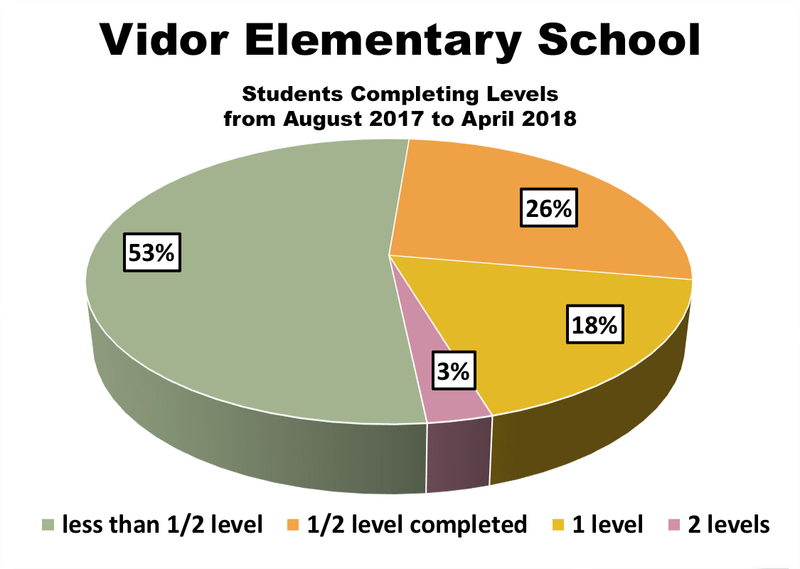 Objective: Vidor Elementary School adopted Ascend Math to help Tier 3 students fill in their missing math gaps. 18% achieved one grade level growth. 3% achieved two grade levels growth. Objective: Fort Stockton adopted Ascend Math to help their Special Education, At Risk and failing math students identify and close skill gaps. Results: After just 6 months of using Ascend Math, 86% of special education students passed the TAKS (Texas mandated test) greatly surpassing their ambitious goal of 75%. Implementation: SPED Students Grades K-12. Objective: Gadsen ISD teachers needed a tool that would meet the needs of their SPED population, fill math skill gaps and provide multiple reporting options to monitor activities and progress.